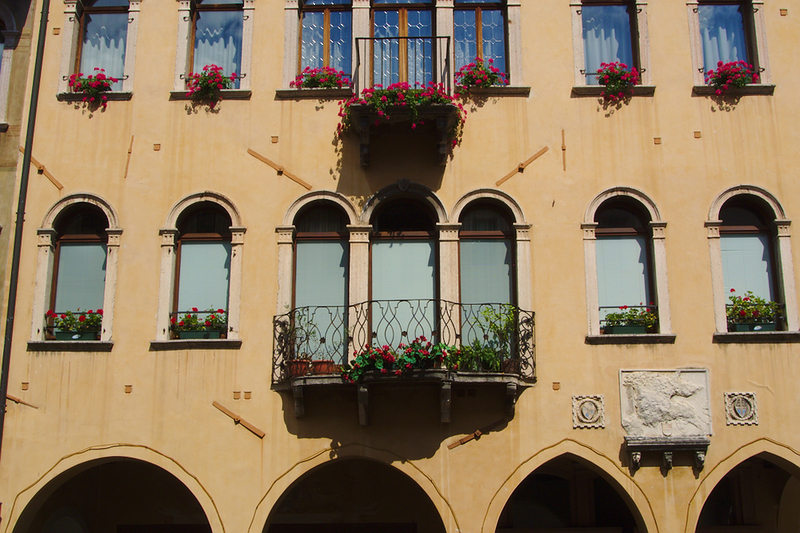 In 1471 the Costantini family from Cadore built their palazzo, where the anti-Papal Ghibellini movement used to meet, on the site of a previously existing Loggia constructed in 1347. In July 1509 it was host to Emperor Maximilian von Habsburg during the Cambric war. Once Belluno was retaken by Venice the lion of S. Marco was placed here, sculpted by the Jacobins in 1797.